Welcome to the Niagara OT Local Web Site! Welcome to the ETFO Niagara Occasional Teachers' Local web site. Occasional teachers have their own bargaining units within ETFO, which means that DSBN has two ETFO Locals: one for occasional teachers (daily and LTO), and one for full-time contract teachers. Your ETFO Local negotiates your contract, offers support and assistance in any disciplinary or grievance matters, offers professional learning, represents you on committees, provides social events, regularly sends out member updates via e-mail and our e-newsletter, and a myriad of other functions. We have a number of issues which are perennial contract violations, such as having your prep period taken away or being assigned extra duty. I've created an online form that lets you easily report these violations to contribute to a data set that will allow us to press for the Board to stop Principals and other staff from violating our contract every single day. Select the school from a drop-down list. Check one or more checkboxes to indicate the problem you encountered. Select the date from a pop-up calendar. Optionally enter your e-mail address. While you're welcome to be anonymous, non-anonymous data has more credibility and allows me to contact you if I need further details. Don't worry, your e-mail is confidential and for the union's use. By no means will we be going into meetings saying "Mr. Chalk reported to us that you took away his prep." What I'll be doing is periodically providing the Board with a list of schools and what's happening at those schools, and seeing if the Board is effective at addressing the issues I bring to them. If they're not, then I'll have a good amount of data with which to try to assess the impact of things like lost preps (how many days of work are reassigned preps costing us, for instance?) with which I can put together policy grievances. 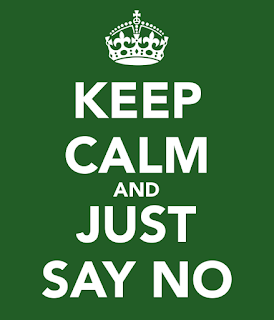 All that being said, we already have the tool we need to stop our contract from being violated: all you have to do is say No. If all of us are consistent in saying "I'm sorry, but that would violate my collective agreement." when asked to do things like give up our preps, then the problem will disappear. If anyone presses you on the issue, tell them to contact your Union President. Then report to me that you were brave enough to say No, as well as what if anything was said in response. As per our recent tentative agreement, a change has occurred in how you declare your availability in SmartFind/SEMS. Previously, you had 12 municipalities in Niagara for which you could specify your availability. Now, that list of twelve has been reduced to the four "Areas" that the DSBN splits itself into administratively. What this effectively means is that in order to help prevent unfilled jobs, there's an expectation that everyone be available to at least a moderate geographic area rather than for instance only one municipality. Note: You may also see "1000 - Elementary" instead of the four separate areas. This is equivalent to having yourself available for all areas. When you log into SEMS, in the menu bar you'll see Schedule, and in that is Locations. You can check your current availability settings in there. If your availability is incorrect or needs adjusting, you can email or call Lisa.Clark@dsbn.org to make changes. Lisa's extension is 54264, and the SEMS Help Desk extension is 54230. For a complete list of schools by municipality, click here. ETFO Wins Bill 115 Charter Challenge! The Elementary Teachers’ Federation of Ontario (ETFO) and other education unions have won a major court victory at the Ontario Superior Court of Justice today. The court found that the Ontario government’s Bill 115 imposed in the fall of 2012 was a violation of the collective bargaining rights of education unions. Bill 115 blatantly interfered with lawful collective bargaining activities in the education sector for three years. It put the actions of the government beyond the review of the Ontario Labour Relations Board, outside the reach of the Ontario Human Rights Commission, and even above the courts. In response, the Charter challenge was launched by ETFO as well as the Ontario Secondary School Teachers' Federation (OSSTF), the Canadian Union of Public Employees (CUPE) Ontario and the Ontario Public Service Employees Union (OPSEU). Justice Lederer did not comment on a remedy for the parties. The parties are now required to meet to determine a remedy. If they are unable to reach agreement on a remedy, the matter will be referred back to Justice Lederer for a decision. You can read Justice Lederer's decision here. There are 2 surveys from the Ontario College of Teachers currently being conducted. Members of ETFO are advised not to participate in either survey. The Ontario College of Teachers has sent emails to some members with the subject line “Members' Survey Regarding Coroner's Jury Recommendation on Attestation”. The College is requesting participation in a survey related to the Coroner’s Jury recommendation that the OCT consider having its members attest annually that they have reviewed materials issued by the College relating to their duty to report abuse and/or neglect of children and youth to a children’s aid society or child & family services agency pursuant to the Child and Family Services Act. 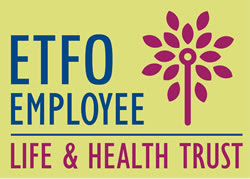 Please be advised that ETFO as well as OTF and the other affiliates have already been consulted by the College on this matter, and all are in agreement that it is not within the College’s mandate to have members provide an annual attestation to the College in this regard. As such, members of ETFO are advised not to participate in this College survey. The Ontario College of Teachers has circulated an intrusive marketing-type survey that asks personal questions which are well outside the role of the OCT (e.g., vacation habits, household income, number of cars, recreational activities). Members of ETFO are advised not to participate in this College survey.